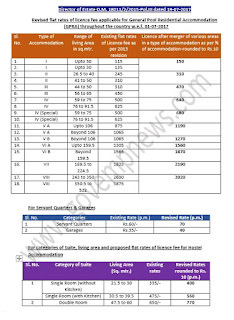 Revision of Flat rate of Licence Fee for GPRA throughout country: Directorate of Estates OM dt 19.07.2017 - Download the Images of scroll down and Download link of PDF is also available below the last image. 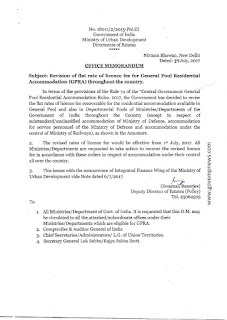 In terms of the provisions of the Rule 74 of the "Central Government General Pool Residential Accommodation Rules. 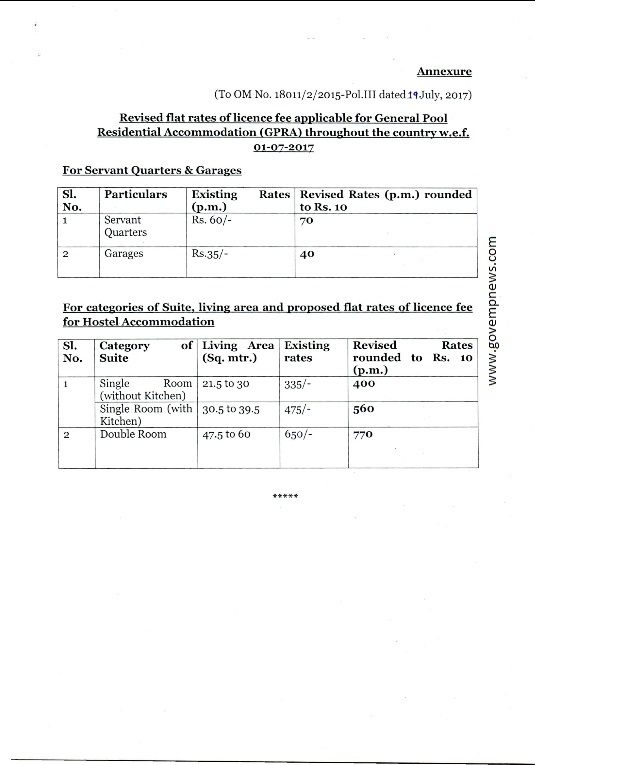 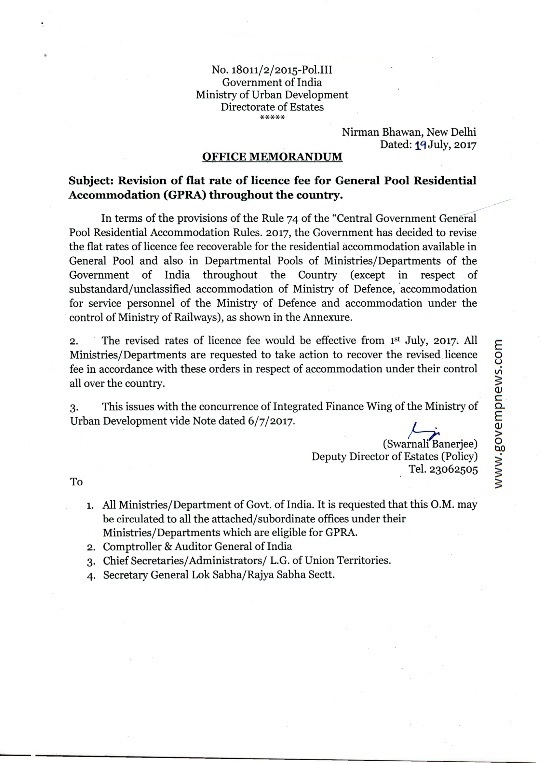 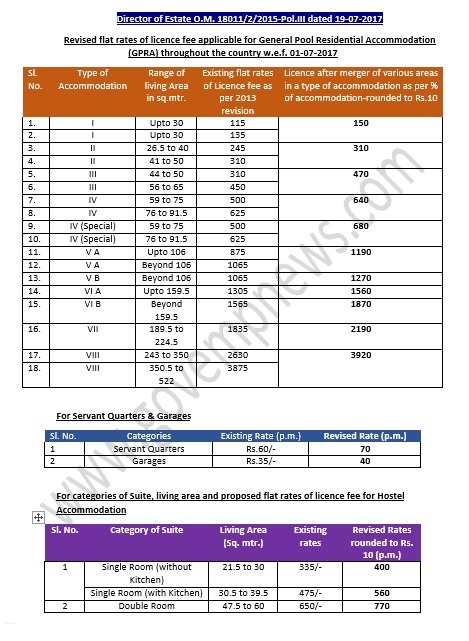 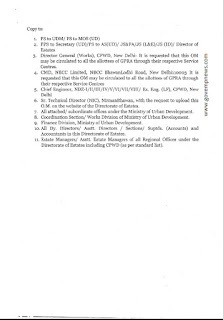 2017, the Government has decided to revise the flat rates of licence fee recoverable for the residential accommodation available in General Pool and also in Departmental Pools of Ministries/Departments of the Government of India throughout the Country (except in respect of substandard/unclassified accommodation of Ministry of Defence, accommodation for service personnel of the Ministry of Defence and accommodation under the control of Ministry of Railways), as shown in the Annexure. 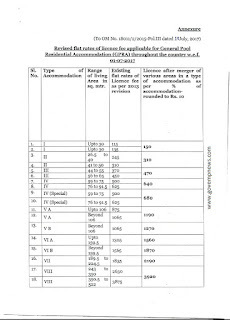 2 The revised rates of licence fee would be effective from 1st July, 2017. 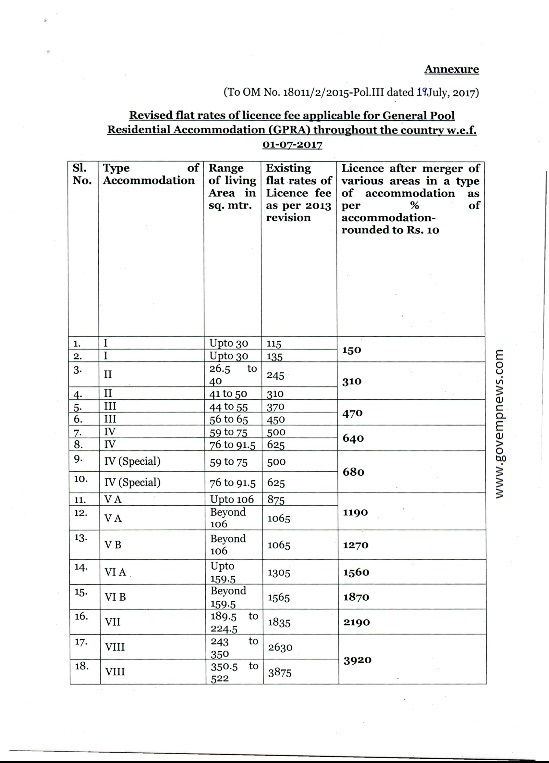 All Ministries/Departments are requested to take action to recover the revised licence fee in accordance with these orders in respect of accommodation under their control all over the country. 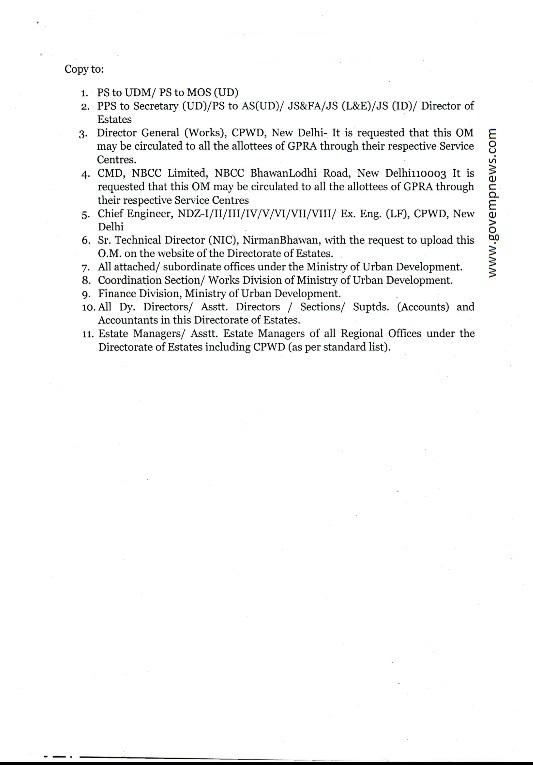 3 This issues with the concurrence of Integrated Finance Wing of the Ministry of Urban Development vide Note dated 6/7/2017.